I got stuck on pit lane, at VIR, because it flooded. It was an interesting turn of events during the Continental Tire Sportscar Race that I had never experienced. Weather was a possibility at the green flag but looked to be mostly harmless. In the span of a couple of minutes while heading to pit lane for pit stop photos the heavens opened up. My assumption is that the humidity must have somehow reached just over 100% and the water had to go somewhere! My plan was to get there, setup and shoot stops with changes from slicks to wets. However the water came in so fast it went double yellow and no one could come in. Cars were going everywhere not track but they weren't coming to pit lane. The water level rose so quickly I had no where to go until I devised a plan to get out of there! 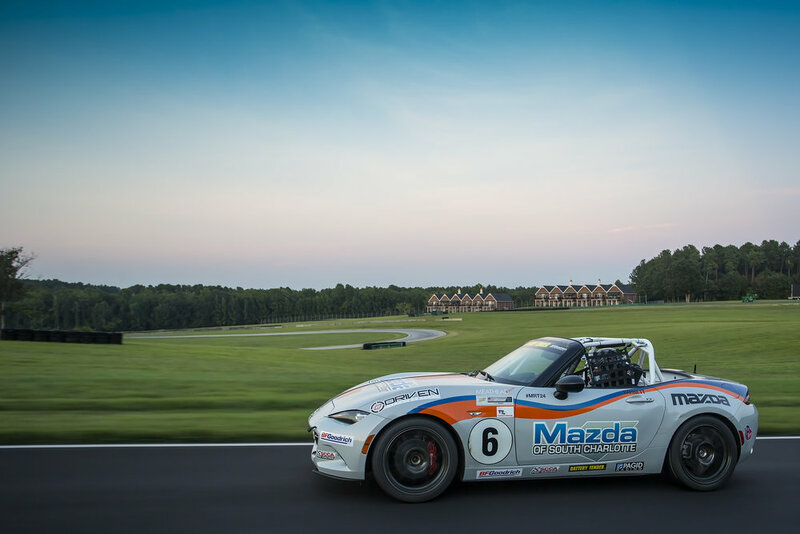 Before we move on had a last minute request for some car to car photography with one of the MX-5 cup teams. Our time slot was really late in the day, just minutes before sunset, but the results ended up being spectacular. 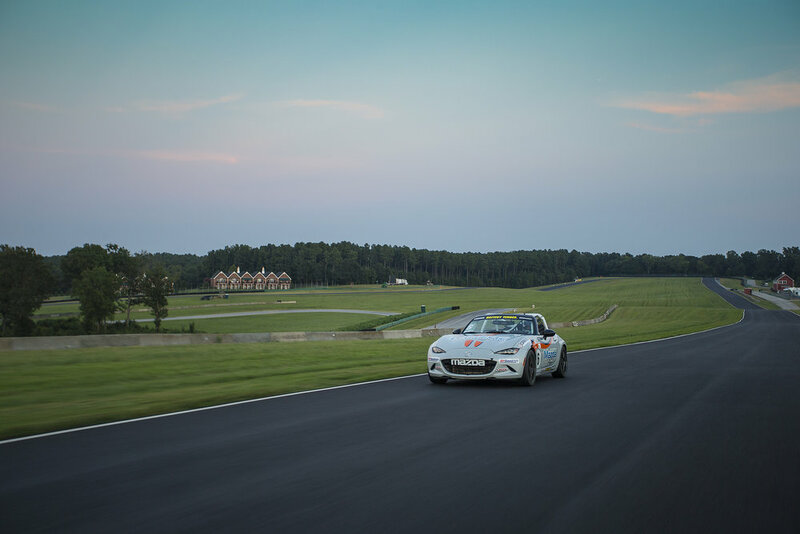 Awesome time to have a car on track with some one on one time. The race did finish and I did make it back to the media center and finished the race without incident. Moving on to Sunday the light was great in the morning warm-up for the Weathertech guys, GT only for this weekend, and came away with great photos! The race itself was awesome with hardly any stoppages for yellows or issues on track. Weather held out on Sunday as well! 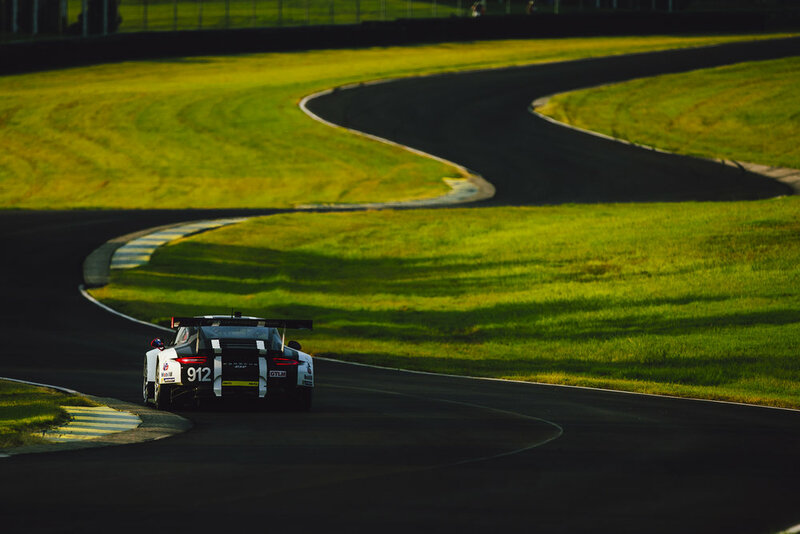 The GT field put on an exceptional show for the fans and it provided some great photography. Next stop is 1 of 3 trips to California almost back to back to back! 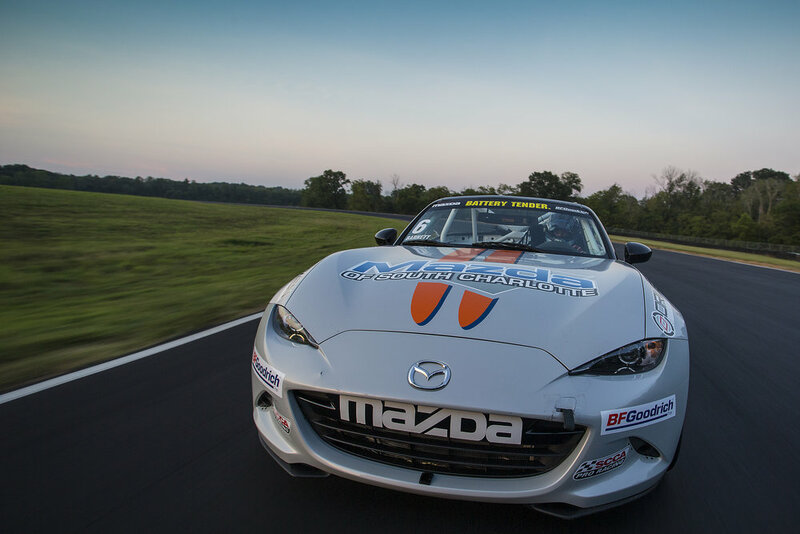 Mazda Road to Indy Finale coming up with the first true Global MX-5 round as well! Can't wait. 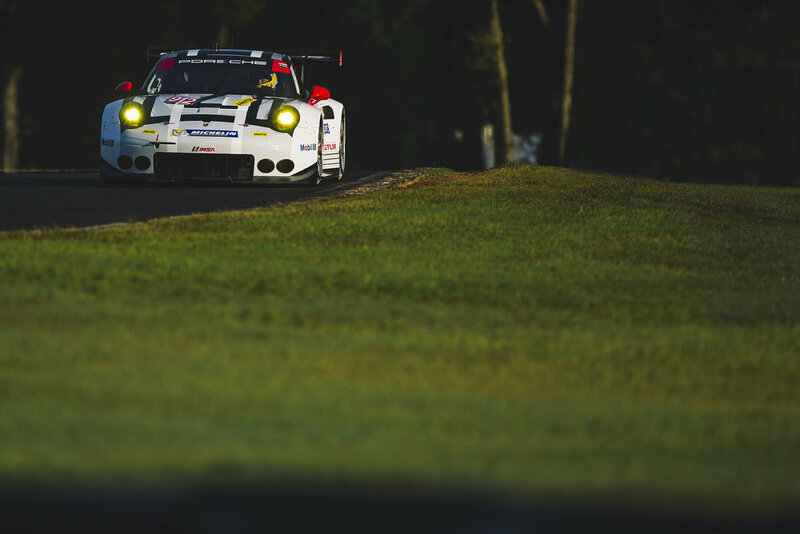 Enjoy a few highlights from the IMSA race. Waking up last Monday to a slew of notifications about a Delta outage wasn't the plan. It started a long list of travel woes for myself getting home from an event and getting to the next. However as with most things as one door closes another door opens. Always make the most of every situation and keep things in perspective. Stress and worry will fade away. Traveling from MKE to ATL turned into about a 6 hour delay. Luckily was able to be moved to an earlier flight which meant the 6+ hour delay wasn't nearly as bad as if I stayed on the flight I was on. Unfortunately this meant what little time at home many hours were removed as Wednesday it was time to head to the track formally known as Miller Motorsports Park. Utah Motorsports Campus as it is now known was very high on my list on tracks I had not visited that I wanted to. While most Delta operations had recovered my plane 'broke' not once, twice but three times while attempting to make it to the runway. Was forced to move planes and was offered via the app an earlier flight. Accepted and it placed me on other flights that were worse than I had. Was resolved and made it... my bag? Did not. I landed in Salt Lake and needed to burn what I thought was ~5hrs. Turns out my bag wasn't coming in at 8. It was going to miss 2 flights and arrive around 1am. Joy! 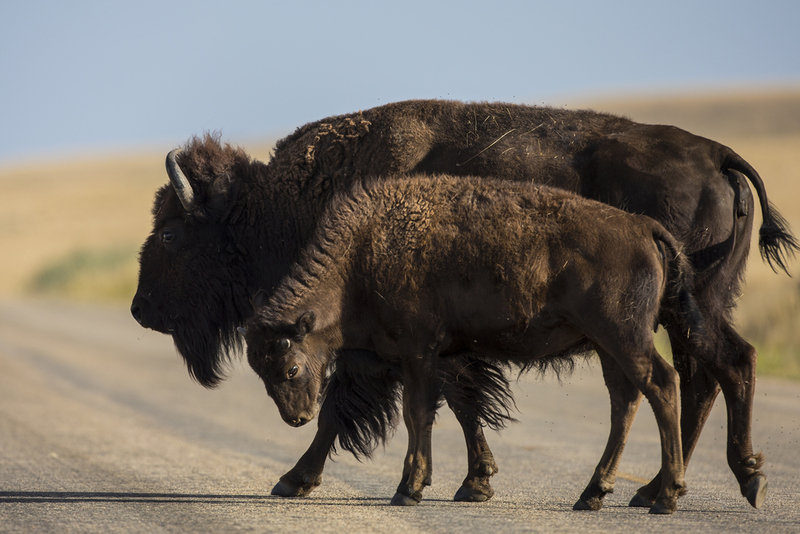 I found that way to burn the hours and if you are ever in Salt Lake definitely check out Antelope Island. It is worth it! I have never seen these animals this up close. Don't actually try and pet them but I swear some of them might let you. Next stop, Utah Motorsports Campus... but first the Salt Flats! There isn't much to say except it is an amazing place. I definitely want to make my way back during an actual event. Myself and Camden Thrasher stopped by during a setup day. The cars are run of the mill to insane. The bikes are even crazier, if you can call some of them bikes. The salt itself feels like something from another planet. It looks and almost feels like snow(it doesn't taste like snow) but cakes on something fierce. Your shoes begin to get heavier and heavier as you walk around. Until next time! It was a great event overall. The track is in a bit of holding pattern over the sale but it was run well and track staff was friendly and helpful. As with most tracks the community is very strong and the local shooters that spend the most time here are very open to chatting about photography or providing some insight into where and when to shoot. It is always appreciated by those that have arrived for the first time. It definitely is an awe inspiring site to see the cars turning laps in what is best describes as a bowl surrounded by mountains. It also is hot, very hot. And dusty, extremely dusty! I am still cleaning out dust from my camera and lenses. It's a very fine dust that I have not experienced elsewhere which makes the clean up frustrating. It seemed that cleaning between sessions was necessary. Everything wrapped up after a fine event and had a great dinner with colleagues before we headed our separate ways on different flights on different airlines. And I was delayed because they needed to remove a LOT of fuel. We were bound for Atlanta but it was fueled for Tokyo. Lucky for me the travel woes were capped off with a complimentary upgrade to a lay-flat seat so a good sleep was had, during the delay and on the way home. Enjoy the photos! 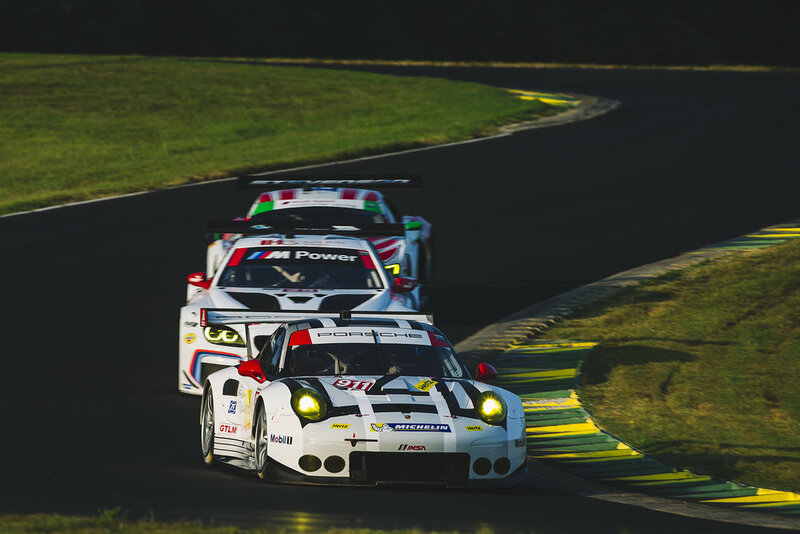 As the GT3 spec, and GT4 for that matter, start to really garner huge support worldwide most manufacturers are adding their car into the mix to challenge for race wins around the world. Acura has joined that party with their soon to be raced Acura NSX GT3. 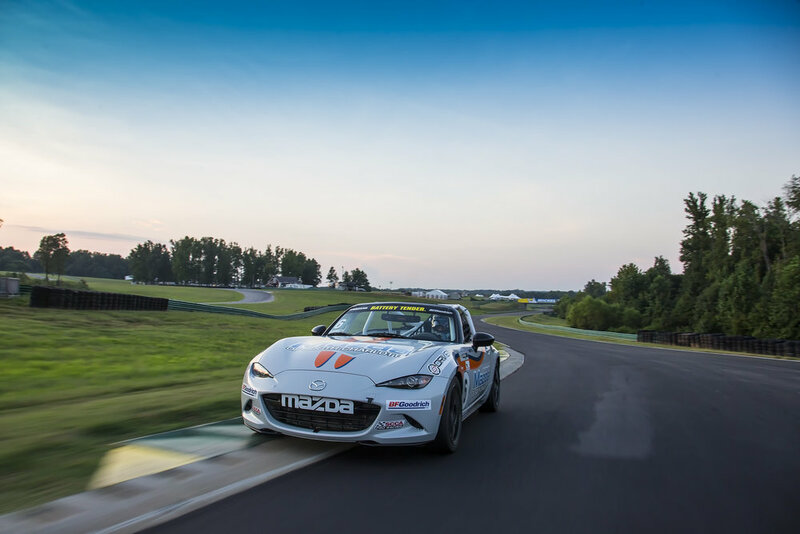 It was revealed just before the PWC Mid-Ohio Round that the car would turn laps on the Test Day and the first official practice session. Friday was rained out but the NSX did turn laps on Thursday. To put it lightly the car looks phenomenal. Cannot wait to see it in the flesh again and more so in 2017 when it turns laps in anger under race conditions!